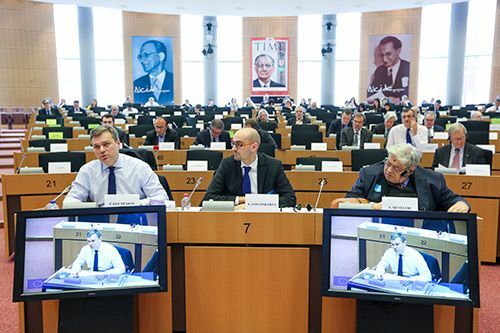 Jean Monnet Chair in European Law, Professor Panos Koutrakos, delivered a speech to the European Parliament on 13th October 2015. Jean Monet Chair of European Law in the City Law School, Professor Panos Koutrakos, addressed the European Parliament on 13th October, during a joint session of the Foreign Affairs Committee and the Constitutional Affairs Committee on a hearing titled, “The Common Foreign and Security Policy under the Treaty of Lisbon: unlocking its full potential”. 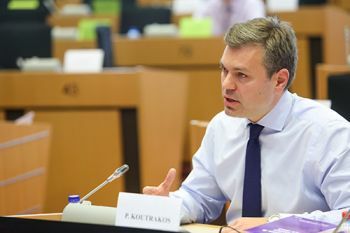 The objective of the hearing was to look into innovations of the Lisbon Treaty and the degree to which they have been used for the benefit of the Common Foreign and Security Policy.